Thinking about buying a Google Home? Want to know if you should get this device or an Amazon Alexa device instead? 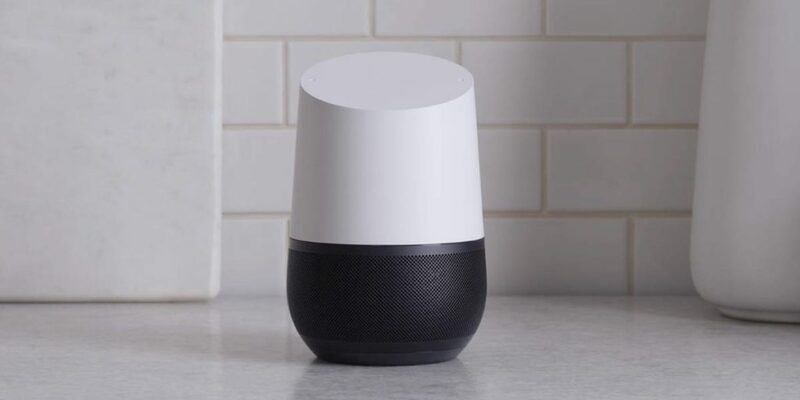 Before making your purchase, check out the Google Home pros and cons listed in this article. I review the reasons why you should consider Google Home over other devices, and why you might want to wait until it supports more features. 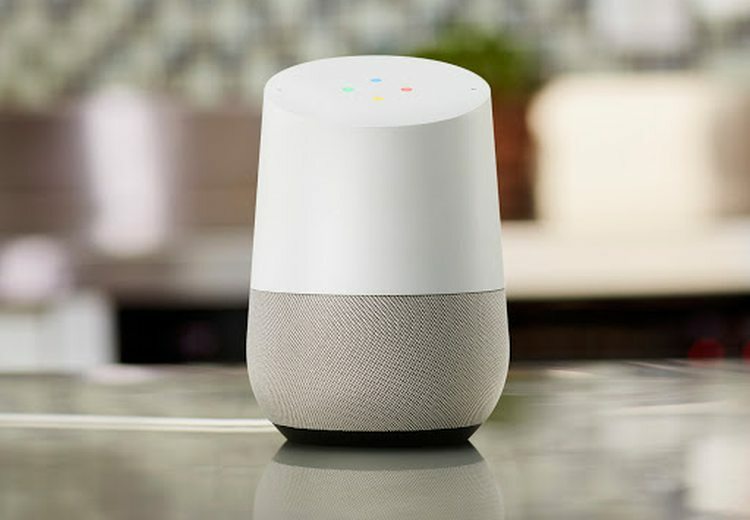 Please note that the Google Home pros and cons listed in this review reflect the current functionality of the device, as of October 2017. Just like the Amazon Echo before it, expect more features and functionality to be added to Google Home over time. For now, check out my current assessment. Second to none in its ability to answer questions. The biggest advantage Google Home has over other voice-controlled apps and devices is its ability to provide factual responses to questions. The device leverages Google’s Knowledge Graph, a system that contains millions of facts about people, places, and things, and how all of these entities are connected. This allows Google Home to provide responses to questions far beyond the capabilities of other voice-controlled apps and devices. Google Home can also understand follow up questions. For example, you can get answers to questions like, “How are the Sixers doing?” and “When is their next game?”. Click here to see many of the things Google Home can do. Can cast video to your TV. The second biggest advantage the Google Home has is the ability to cast video to your TV. Currently, you can cast video from YouTube. Support for Netflix and other video services are expected to be added over time. Can identify different voices: Initially, a missing feature, this ability ensures that multiple people can get personalize results for GH. Can cast audio to multiple devices. Using Chromecast Audio, you stream music to one or more sets of speakers in different rooms. Supports Google Play Music and YouTube Music. These services are not available on Alexa devices. Pretty good sound quality considering its size. For casual music listening, I think Google Home sounds good. Appears to understand my Spotify requests better than Alexa devices. In my personal experience, I’ve encountered far fewer mistakes with Home versus Alexa. Your mileage may vary. Aesthetic design and customizable appearance. 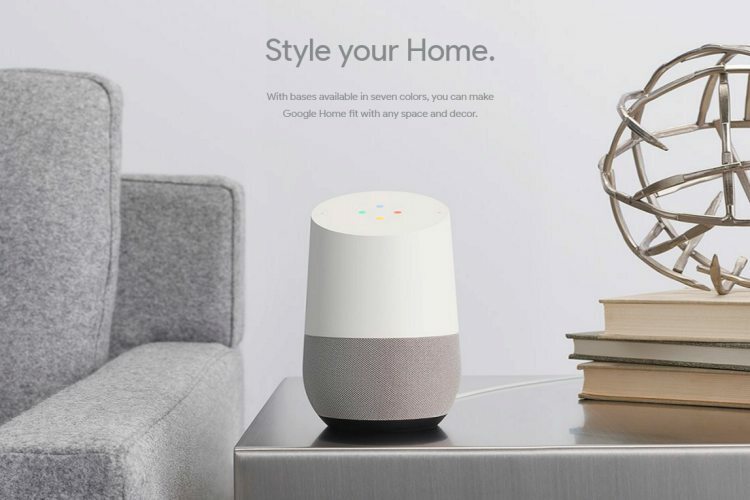 Google Home looks like a small piece of furniture that can be customized to match your decor. The Echo looks like a speaker while the Echo Dot looks like a hockey puck. Hands-free calling. You can make calls with your voice to any number in the US and Canada. Step by step cooking instructions: Google Home will walk you through preparing food. I’m not sure how useful this is, however. If GH ever gets a display, this feature would be really cool. Works with free Spotify Accounts: Enough said! Bluetooth audio streaming: This is another feature it should have had in the beginning but I’m glad it’s available now. Availability: Google Home is (or will be) available in these countries: Australia, Canada, France, Germany, Japan, United Kingdom, United States (except Puerto Rico). Google Home definitely has some positive traits. But what about the negatives? Check them out below. Features and firmware updates not available to all regions. One of the biggest complaints we see from Google Home users is that features are not available to them. I hope this can be addressed. GH doesn’t have as many skills as the Amazon Echo: While I’m happy about the skills GH has acquired since its launch, it still trails the Amazon Echo in skill count. With that said, more analysis is required to determine how big the actual gap is. GH also lags in third-party support when compared to Amazon Echo: As of this writing (August 2017), Amazon Echo has more compatible smart home products and accessories than the Google Home. Can’t read or send emails or messages. You’ll have to use your phone for that. Can only recite items in our main calendar. Home doesn’t support shared or secondary calendars. Costs more than the comparable Amazon Echo. Something to consider. It’s powered by Google Assistant, which is different than Google Now. This may create some confusion for people that already make use of Google Now powered phones and tablets. Launch phrase not customizable. Thus, multiple devices may respond, or at least, wake up when you use the launch phrase. Also, your devices will occasionally be activated by Google TV commercials. Lack of physical buttons on the top of the device. I find the swipe-oriented volume control to be finicky and annoying. I’d much prefer physical buttons or clearly marked capacitive buttons, and not the current where’s Waldo button implementation. Doesn’t hear me from a distance as well as the Amazon Echo does. Your mileage may vary. No intercom feature. An Amazon Echo and initiate communication to another Amazon Echo. Google Home doesn’t have this functionality. The Google Home App is not easy to use. 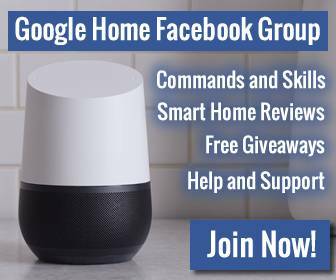 Many users complain about the GH App in our Google Home Facebook Group. As you can see, Google Home definitely has some missing features. Should you still consider buying it? Check out my buyer’s recommendation below. Before you buy any voice-activated device, the first question you need to answer is, what will you use it for? Will you use it to play music (and subscribe to a paid music subscription)? Will you invest in compatible smart home devices? Will you use it to ask questions or to play games? If any of this appeals to you, then you might find a voice-activated device to be worth its cost. Want to ask complex questions that leverage Google’s Knowledge Graph. Want to make free, voice-activated telephone calls. Want the device to recognize different voices. Want to cast audio and/or video. Want more options for compatible smart home products and accessories. Want to use skills not offered on the Google Home. Want to use Amazon services you already pay for, such as Amazon Prime, Amazon Video, Amazon Music, etc. The third option, of course, is to buy a Google Home Mini and an Amazon Echo Dot. This is the cheapest way to get the best of both worlds. Which device will you choose? Will you buy the Google Home? Will you get the Amazon Echo? Will you get both devices or none at all? Share your thoughts in the comments. Why doesn’t google home make phone calls in Australia and the rest of the world? I would like to buy one or two but that would be a proirety.